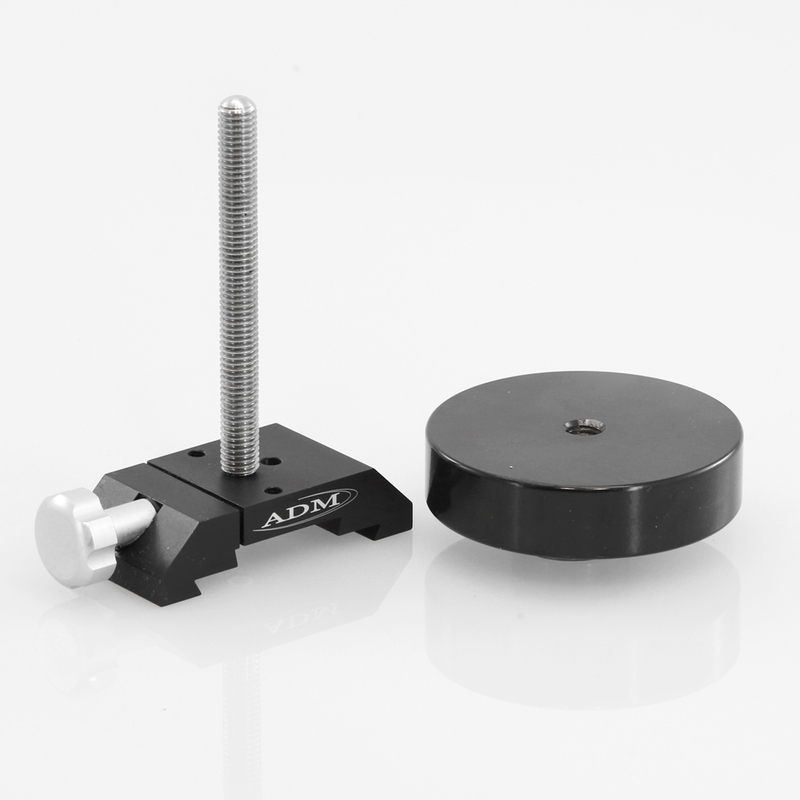 ADM Accessories: Fits D Series or V Series dovetail bars. Adds additional weight for balancing OTA’s. Split clamp design grips the dovetail bar along the entire surface of the saddle and will not dent or scratch the dovetail bar. 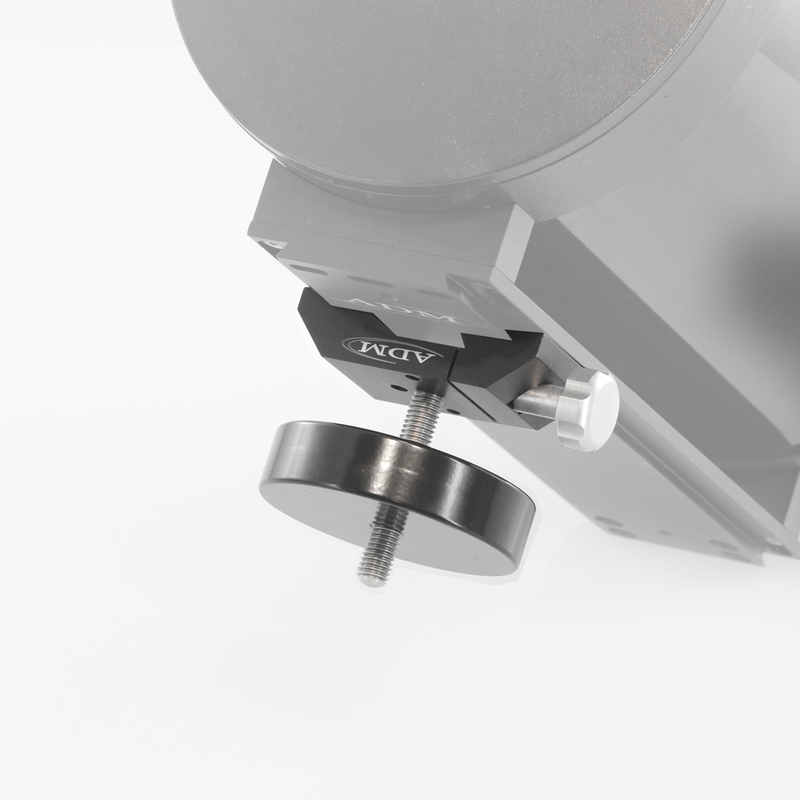 The dovetail clamp has a large locking knob for tool free operation, spring loaded jaws, anodized aluminum and stainless steel construction. DPA- 2.5″ Long, 4″ Wide, .75″ Thick, Wt. 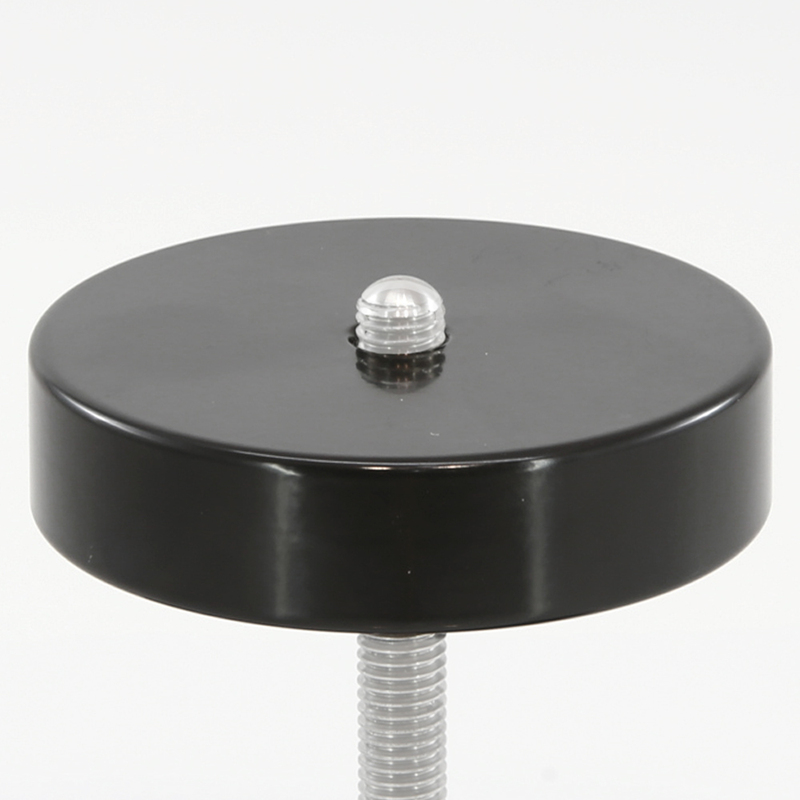 10 oz., Counterweight- 4″ Rounds, 1″ thick, 3.5 lbs.